SpaceX –the space exploration company has a lot in its platter, with its Big Falcon Rocket project under progress, a cut-throat deadline with NASA and a space tourist program which will be happening soon. Despite all of these happenings in the backdrop, a striking new deal was inked. ispace, a Japanese lunar robotics company is teaming up with SpaceX for its first mission to the moon. 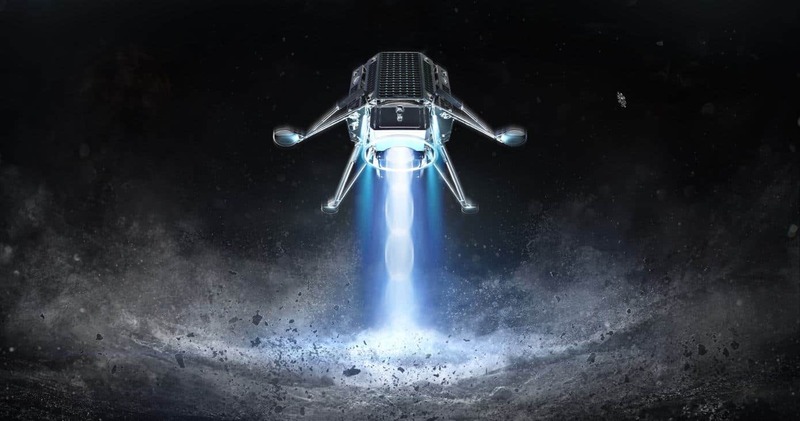 The company says that SpaceX will drop its lunar lander and rovers to the moon on Falcon 9 rockets in a pair of missions which is going to happen in 2020 and 2021. ispace is a new entrant in the space industry but made a history in the past since it began out of Google LUNAR XPRIZE competition. ispace represents as an organisation which develops robotics for lunar delivery and resource explanation in the project of moon exploration. HAKUTO-R is the name of the project as a reference to the contest. Haku means “white rabbit” in Japanese and is derived from a local folklore about a rabbit on the Moon while the R stands for the rebooting of the Google event. The newly founded company ispace and SpaceX not only share a similarity in their names but very much aligned with each other and share a single goal. SpaceX has always been audacious about their space colonisation ambitions. Now ispace is bolstering the steps towards the moon mission. Mission 1 will aim to achieve a simple orbit around the moon, while Mission 2 will go even further, attempting a soft lunar landing and the deployment of data-collecting rovers. So far, the space plan seems to be well accepted by industry specialists. Expertise says that when looking on schedule, price and effort, the approach that ispace is following is much leaner and efficient than ESA or NASA. ispace’s spacecraft designs undergone through a Preliminary Design Review (PDR) that saw a panel of 26 external experts from Japan, Europe, and the US. The expertise panel evaluated the project’s technical and programmatic qualifications. A PDR Board Report concluded that the mission was the successful pending closure of key actions. ispace is working on space development with a solid environment, gathering a considerable level of talent. On the other hand, SpaceX is aiming to dominate and become a monopolist in the commercial rocket launch industry, offering its state-of-the-art products and services to other private companies by empowering them to get their businesses off the ground. The company is currently pursuing on a project to improve its rocket technology, creating boosters that can be re-used up to hundred times. The reusable technology would drastically plummet the cost of each launch and eventually make space travel more affordable and convenient. SpaceX is laying its stepping stone in a new era of space exploration by collaborating with ispace. The company is optimistic to deliver innovative spacecraft to the moon and has already revealed the first set of passengers to the moon. It seems robots are next on the space firm’s cargo list.